The conservative candidate from the PSL (Social Liberal Party) was stabbed in the abdominal area while campaigning in the town of Juiz de Fora, in the state of Minas Gerais. 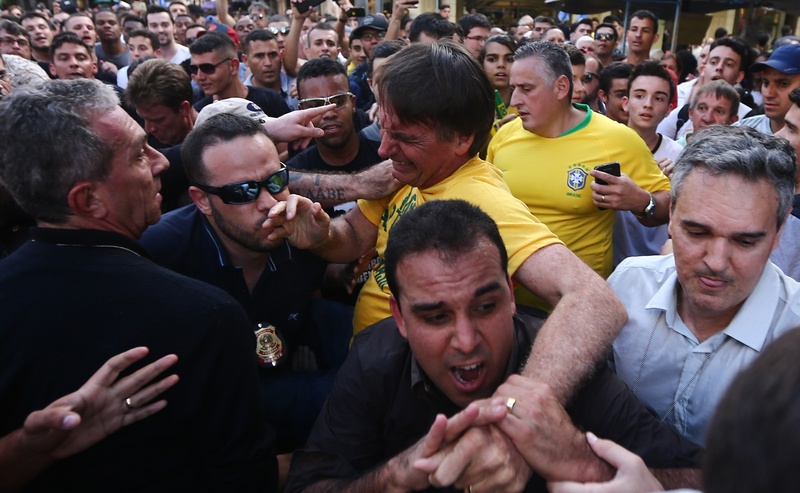 RIO DE JANEIRO, BRAZIL – After the shocking attack on Brazil’s presidential candidate Jair Bolsonaro (PSL) yesterday, he is in stable condition but expected to remain in the hospital for at least a week. A government news agency reported this morning that his campaign will be suspended, with no date set to return to the streets. Jair Bolsonaro was stabbed in the abdominal area while campaigning in the town of Juiz de Fora, in the state of Minas Gerais, internet image recreation. The candidate was stabbed in the abdominal area while campaigning in the town of Juiz de Fora, in the state of Minas Gerais. The attacker, Adélio Bispo de Oliveira, was arrested in the act, and had a previous record of assault in 2013. Former military officer, Bolsonaro currently leads the polls for October’s presidential elections, and is very likely to go to the second round of elections. The candidate, however, also has the highest rejection rate of any of the contenders, due to his stance on gender equality, LGBT rights and gun ownership backing. In a statement on social media networks, the national president of the PSL party, Gustavo Bebianno, called the followers to pray for Bolsonaro. “Today’s elections do not matter. You who are worried about the health of our captain do not let yourself fade away,” he appealed. 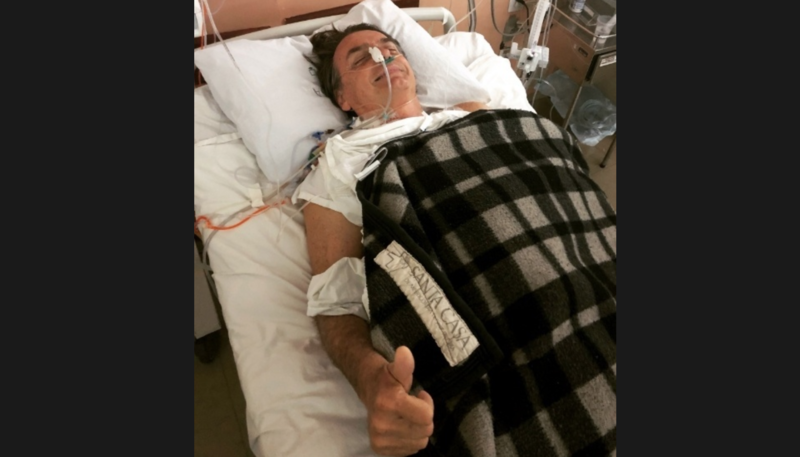 Jair Bolsonaro is stable but expected to remain in the hospital for at least a week, photo internet recreation. Vice-presidential candidate General Mourão told Agência Brasil that the PSL did not call a meeting, but that at the moment ‘the main thing is to organize the machine’. “Our commitment is with Brazil. This is our project. Nothing will deter us,” he said. Mourão received the news of the attack when he arrived in Porto Alegre for a neurosurgery conference. This Friday, he will return to Rio de Janeiro, where he lives. “Bolsonaro is a strong man. He will recover to win in the first round,” he said.